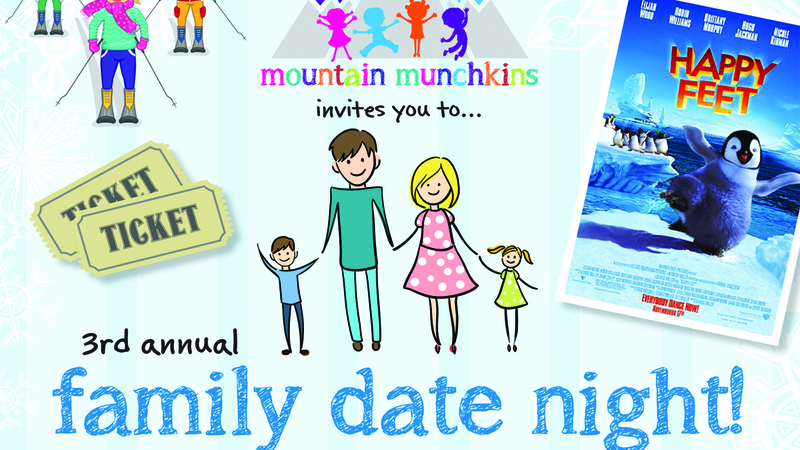 On Friday, Nov. 30, take the family out to the Telluride Conference Center for Mountain Munchkin’s third annual Family Date Night. All proceeds benefit the scholarship fund at Mountain Munchkins, Mountain Village’s child care center located at Village Court Apartments. Admission is $10 (and $5 for kids 12 and under), and there will also be a raffle to win a season’s Telluride Ski Resort pass with raffle tickets available for $10. There will be a cash bar available for adults as well. The fun will take place 5:30-8 p.m. on Friday. Nov. 30 and the movie will begin at 6 p.m. Established in 1996, Mountain Munchkins is a licensed infant, toddler and preschool center located at Village Court Apartments in Mountain Village. As a year-round program, it primarily provides childcare service to families who work in the Mountain Village and Telluride region. Mountain Munchkins is owned, operated and subsidized by the Town of Mountain Village, and supported by grant-funding organizations like the Telluride Foundation, Just For Kids Foundation, CCAASE, Bright Futures and Temple Hoyne Buell Foundation.